A sampling of the most amazing projects, the most exciting research, and the biggest news from the Lab in 2013. A 3D-printed ensemble created by Professor Neri Oxman, head of the Mediated Matter group, for Dutch designer Iris van Herpen’s collection, “Voltage,” at Paris Fashion Week. The 3D-printed skirt and cape, called Anthozoa, were produced using Stratasys’ Objet Connex multi-material 3D printing technology. An urban design system that combines high-definition video projectors, advanced modeling and simulation technology, 3D projection mapping, and physical models, created by Kent Larson and a team from the Changing Places group. CityScope provides a real-time, interactive data environment for understanding and designing relationships between people and places in cities. Led by Professor Tod Machover, the Opera of the Future group created new software tools to crowdsource music for collaborative music compositions in Toronto and Edinburgh. Tod Machover, Peter Torpey, Akito Van Troyer, and Ben Bloomberg used Hyperscore and the Social Computing group’s DOG programming language to crowdsource and compose a symphony about Toronto. samples contributed by citizens and lovers of Edinburgh. The Director’s Fellows are a cohort of unique creators who bring inspiration and ideas to broaden the Lab community. They are an eclectic group, most coming from non-academic backgrounds, and are working with students and faculty on a number of exciting field projects. The E14 Fund is an independent investment fund that gives recent Media Lab alumni a “six-month runway” to entrepreneurship, in the form of startup support that includes a stipend, legal advice, meetings with venture capitalists, and more. The program also incorporates a way to put a portion of the profits from successful spinoffs back into MIT. Professor Ed Boyden, head of the Synthetic Neurobiology group, was one of six scientists awarded the Grete Lundbeck European Brain Research Prize. He was honored for his work in optogenetics, a technology that makes it possible to control brain activity using light. A new technique that converts an ordinary camera into a light-field camera, from Kshitij Marwah, Gordon Wetzstein, Yosuke Bando, and Professsor Ramesh Raskar of the Camera Culture group. Focii is a light-field camera attachment and software tool that can produce a full, 20-megapixel multi-perspective 3D image from a single exposure of a 20-megapixel sensor. A carving tool designed by postdoc Amit Zoran of the Responsive Environments group. FreeD allows the user to control the carving process while aided by a computer guidance system that is preprogrammed with the desired three-dimensional shape. An email metadata visualization tool from Daniel Smilkov, Deepak Jagdish, and Professor César Hidalgo of the Macro Connections group. Immersion scans a user’s email account and creates a portrait of networked connections based on the From, To, Cc, and Timestamp fields. An interactive dynamic display table from Sean Follmer, Daniel Leithinger, and Professor Hiroshi Ishii of the Tangible Media group. inFORM is a Dynamic Shape Display that can render 3D content physically, so users can interact with digital information in a tangible way. inFORM can also interact with the physical world around it, for example moving objects on the table’s surface. Professor Joe Jacobson, head of the Molecular Machines group, was honored with a Wilhelm Exner Medal for his contributions to microelectronics. The Exner Medal is awarded to scientists and researchers whose work has directly impacted business and industry. An automated conversation coach that helps with interview skills, social interactions, and conversational skills from Ehsan Hoque of the Affective Computing group. MACH, or My Automated Conversation CoacH, is a software program that simulates face-to-face interactions in different social and professional contexts, and offers feedback to improve performance. New Faculty: Kevin Slavin and Sputniko! 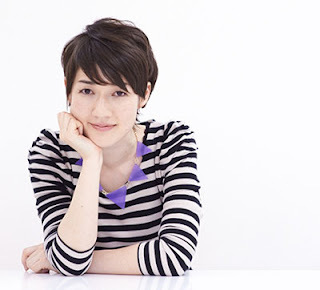 Two new faculty members joined the Lab in 2013: Kevin Slavin, head of the new Playful Systems group, which explores how the systems that increasingly run our lives can be brought to the foreground through games, narratives, and visualizations; and Hiromi Ozaki, also known as Sputniko!, whose new group Design Fictions will explore the social, cultural, and ethical implications of new technologies. Yves-Alexandre de Montjoye of the Human Dynamics group and Professor César Hidalgo of the Macro Connections Group used 15 months of data from 1.5 million people to show that 4 points—approximate places and times—are enough to identify 95 percent of individuals in a mobility database. These findings have been recently used to understand the use of metadata by the NSA and have been cited in numerous media reports and editorials. Their paper, “Unique in the Crowd: The Privacy Bounds of Human Mobility,” was published in Nature. A class instructed by Dan Novy of the Object-Based Media group and Sophia Brueckner of the Fluid Interfaces group, exploring the relationship between science fiction and speculative/critical design as a means of encouraging the ethical and thoughtful design of new technologies. Students built projects based on concepts from sci fi and blogged about their work. The class was featured in an interview with the instructors in The Atlantic. A new version of the programming language for kids from the Scratch Team in the Lifelong Kindergarten group. Scratch 2.0 provides updates to the Scratch programming language and online community that enables kids (ages eight and up) to create their own interactive stories, games, music, and animations for the Web. A new, cloud-based version includes ways for youths to create new types of projects and work together in new ways. In November, the Nominet Trust in England included Scratch on its list of "The World’s Most Inspiring Social Innovations Using Digital Technology." A solar-powered park bench that charges your phone from Nan Zhao of the Responsive Environments group, visiting scientist Sandra Richter of the Changing Places group, and MIT alum Ines Gaisset. The two seat-e benches installed on the Rose Fitzgerald Kennedy Greenway provide power to recharge mobile phones, a wi-fi Internet connection, and light at night. An exploration of the relationship between digital and biological fabrication from Professor Neri Oxman, Jorge Duro-Royo, Carlos Gonzalez, Markus Kayser, and Jared Laucks of the Mediated Matter group. The Silk Pavilion comprises a dome of CNC-deposited silk threads, onto which the researchers placed 6,500 silkworms at the bottom rim of the primary structure, spinning flat non-woven silk patches across the gaps in the dome. The silkworms were affected by spatial and environmental conditions such as the density of the existing silk threads and variation in temperature and sunlight; they migrated to darker and denser areas, creating a unique pattern of spun silk across the dome. After the April 2013 Boston Marathon bombings, Professor Hugh Herr and the Biomechatronics group informed the public on advances in smart prosthetics research and began working directly with some of those injured in the attack. Professor Herr wrote an op-ed for The Wall Street Journal about this work. A project that uses augmented reality technology to program physical objects and their interactions, led by Valentin Heun of the Fluid Interfaces group. Smarter Objects allow users to imbue tangible objects with virtual interfaces, giving the virtual and physical worlds new ways to interact. A tool to examine who's watching what, when, and where, all over the world, created by Ed Platt, Rahul Bhargava, and Ethan Zuckerman of the Center for Civic Media. What We Watch collects data from Youtube’s Trends Dashboard to determine what videos are popular in any of 61 countries at any given time; it then compares the video trends in one country to those in other countries. This coming May 22-21, I'll be in San Francisco to co-chair Solid: Software / Hardware / Everywhere, a conference exploring what's next at the intersection of software and the physical world. This is an inaugural conference sponsored by O'Reilly Media, and we're encouraging everyone from grad students, to artists, to managers, to top-level execs to come and engage in a multidisciplinary conversation about what's coming next. To make sure that some of the best and the brightest (regardless of financial circumstances) are able to attend, we're offering ten Solid fellowships to any full-time student or independent innovator who is working on a project within the scope of Solid. You can get more info and apply here; the deadline is January 15 (11:59 PST). If you're interested in being a presenter, there's a December 9 deadline for sending in a proposal, which will be reviewed by a diverse programming committee. The process is open to anyone. And if your proposal is accepted, you will get a free pass to the entire event. More to come as we get closer to the event. Composer Tod Machover is creating a "collaborative symphony" called Festival City, to premiere on August 27 at the Edinburgh International Festival (EIF). The work is a sonic portrait of Edinburgh—city and festival—created with input from those who love the city. Machover has been soliciting audio samples of, and stories about, the city, as well as providing tools created by members of the Opera of the Future research group at the MIT Media Lab that will allow everyone to help shape the composition. On Tuesday, July 9, 2013, Tod Machover and his team presented a one-time-only event to further shape Festival City. Participants in the live-stream event helped to select musical elements from the repertoire of pieces performed at the EIF since its inception in 1947, and pianist Tae Kim combined these repertoire fragments together in real time in constantly evolving ways, following input from online participants. The simple web interface, Cauldron, showed a colored bubble for each composer selected; participants could "stir" with their mouse on the screen, and the closest "composer bubble" grew in size. At the same time, Machover was controlling a second interface to determine how the composer-fragments related to one another. Input from online participants and Machover immediately changed the size, appearance, and behavior of the bubbles, thus creating Kim's "score" for the improv session, which he followed and performed in real time. Over 1,000 people participated in the hour-long Repertoire Remix project on The Guardian website. Aside from participants from Edinburgh and Cambridge/Boston, we were pleased to see participants from all over the UK: Aberdeen, Basingstoke, Bristol, Canterbury, Chester, Cornwall, Coventry, Inverness, Leeds, London, Macclesfield, Manchester, Newcastle, Norfolk, Norwich, Nottingham, Shropshire, Sussex, and Sheffield. People also joined from all over the world: Brazil; Toronto, Canada; Beijing, China; Paris, France; Stuttgart, Germany; Kinsale, Ireland; Amsterdam, The Netherlands; California, Indiana, and New York, USA; Thailand; and Turkey. Last week at a White House event, President Obama announced his Brain Research through Advancing Innovative Neurotechnologies (BRAIN) Initiative. Calling it "the next great American project," Obama allocated $100 million per year, starting in fiscal year 2014, for developing new tools to map the activity of the networks of the brain. In December of 2012 I contributed to a technology roadmap workshop for the initiative, and last week I was invited to participate in the official White House launch, along with other neuroscientists, engineers, and government officials. The potential impact is huge. Understanding how sensations, decisions, emotions, and actions are generated by brain circuits has tremendous implications for understanding the human condition. Revealing the activity patterns associated with brain disorders, and their treatment, could help the one billion people worldwide who are afflicted with poorly treatable conditions ranging from epilepsy to Alzheimer’s. The technologies we develop in the Synthetic Neurobiology group at MIT, often in interdisciplinary collaborations, will provide key technology building blocks for this effort. These tools include optogenetic tools for controlling brain circuits with light, microfabricated 3D brain-spanning neural interfaces, and robots that automatically analyze single cells in the living brain. Our group is a joint enterprise across multiple MIT institutes, such as the Media Lab and the McGovern Institute, and many departments such as Biological Engineering and Brain and Cognitive Sciences. We also work closely with other institutes like the Allen Institute for Brain Science. It’s instructive to take a look at one of these environments, the MIT Media Lab, and how it has helped the relatively new field of neurotechnology thrive, perhaps in unexpected ways. The Media Lab provides an antidisciplinary environment where fields that don’t fit within existing disciplines can be incubated and nurtured by people who believe in them. Giving a field some protected time to develop and ultimately prove itself, and to derive its methodologies of thinking, doing, and evaluating, is important for enabling it to mature to the point of having impact on the world. One important methodology in neurotechnology is to engage in co-equal collaborations. For example, the brain-spanning interfaces were developed in collaboration with the Fonstad lab at MIT, and the single-neuron analysis robot was developed in collaboration with the Forest lab at Georgia Tech. To help people create impactful neurotechnology inventions, we have developed courses ranging from those that teach basic principles, to those that mentor people in the process of launching neurotechnology startup companies. It wasn’t all fun and games—for example, we had to renovate old film studios and holography rooms into functioning bioengineering labs, which took years. But it has been said that entrepreneurship is the pursuit of opportunity independent of the resources that you currently control. What you need is the right environment, and the potential to access resources and grow. The Media Lab lets us practice intellectual entrepreneurship, and over the last seven years, we have been able to accomplish this kind of growth, both within our group and in the field globally. No field stays antidisciplinary forever. Technologies developed by our group are used all over the world. Our alumni and collaborators have been building new research groups, and startup companies, that are pushing the field of neurotechnology forward, both academically and from an industry-building standpoint. Certainly the White House announcement means that neurotechnology is in some ways going mainstream. The field is poised to grow and accelerate in ways not imaginable seven years ago. We are looking forward to helping build new technologies and new collaborative networks to make new technologies. And, always in the background is the question—prompted each time I walk down the hallways of the Media Lab complex—is it time to start incubating something new? Ed Boyden is Benesse Career Development Professor and Associate Professor of Media Arts and Sciences at the MIT Media Lab. He is the head of the Synthetic Neurobiology group, and has joint appointments with MIT's Departments of Biological Engineering and Brain and Cognitive Sciences. He is an investigator at the MIT McGovern Institute. 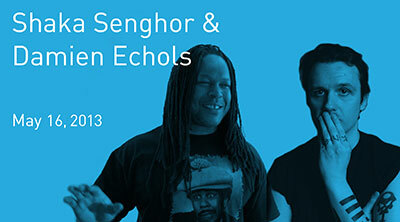 The Media Lab’s 2013 Conversations Series is off and running, with two fantastic talks in the last two weeks. On March 28, author Susan Crawford spoke with Ethan Zuckerman and Andy Lippman about her new book, Captive Audience, and the disparities in Internet speeds in the US caused by telecom companies’ monopoly. In Crawford’s view, "We should be able to take connectivity for granted - it should be ubiquitous, like the air we breathe." Instead, however, we’re faced with high costs and limited options, and yet none of the fastest cities in the world for Internet connectivity are in the US. You can view the full archived talk online. On April 3, Kickstarter co-founder Yancey Strickler came by to chat with Joi Ito about crowdfunding and entrepreneurship. From Veronica Mars to the $5,000 projects that make up the bulk of Kickstarter’s 38,000 successfully funded enterprises, Strickler maintains that "the most important step is putting the idea out there." 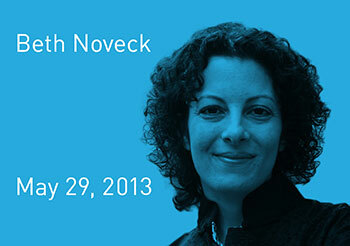 Watch the full archived talk online. 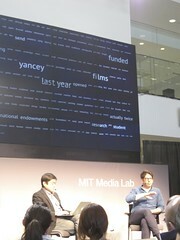 In related news, the Media Lab now has a curated page of projects that have been funded or are seeking funding on Kickstarter: http://www.kickstarter.com/pages/mitmedialab. 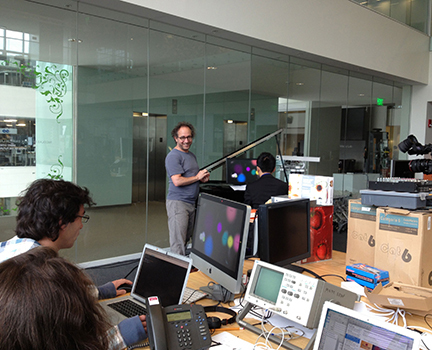 Be sure to check back periodically to see amazing projects from the Media Lab community! We appreciate all of the feedback we’ve received about the party we hosted at The Parish Underground on Saturday night at SXSW. While we received a lot of positive responses, we want to address an issue with the wristbands that were given to people who came in the door. 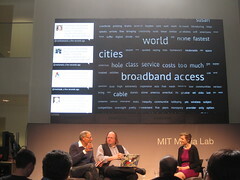 They were offensive and in no way reflect the sentiments of the MIT Media Lab. These wristbands were provided by the venue, and while we didn’t realize what was printed on them until after they'd been handed out, we should have prevented the situation from occurring in the first place. The Media Lab is firmly committed to supporting women in the sciences, computing, arts, and engineering. We don't like – and certainly don't want to support or disseminate – offensive messaging. We appreciate those of you who noticed the wristbands and pointed them out to us; please accept our sincere apology. Last week The Atlantic published “How to Stop the Bullies,” a piece about the epidemic of bullying online and the response to this growing problem from social media site administrators, educators, researchers, and public groups such as Anonymous. Henry Lieberman, principal research scientist at the MIT Media Lab, was featured in the piece in a lengthy discussion of the work he and his grad students Karthik Dinakar and Birago Jones have done with cyberbullying. As explained in this video from NowThisNews, Lieberman and his team hope to use the algorithm they’ve developed to prevent instances of cyberbullying by giving users a warning about their language and an enforced pause before posting potentially harmful content. The article and the video provoked a flurry of response on Facebook and Twitter, with many asking for more details about the work. Here are his responses to the questions asked most often. What was your motivation for working to combat bullies when you first began this work? The project was started by my students Karthik Dinakar and Birago Jones, who were deeply moved by press reports of teens committing suicide and other heartbreaking stories. They saw an opportunity for natural language understanding and user interface design to help, and nobody in the academic community at the time was working on how to improve social network software to deal with the problem. From my understanding, some web accounts cannot be set up until a certain age. How are children able to open accounts? Are there ways to hold those who provide services responsible? Some networks do have a minimum age limit, but kids get around it by using false identities. Some sites do insist on a credit card or other proof of adulthood or adult approval. No enforcement is perfect. But if kids do manage to join a network meant for older people, then they have to be held to adult standards of responsible behavior. Dr. L, what is the thinking process that's disrupted by the prompt to "reflect" before sending a mean message? Does the prompt have the potential to promote impulse control in general? Many times, bullying behavior starts out as users trying to be funny. Some users, innocently, try to be funny and wind up saying hurtful things. This is usually easy to fix, as a little bit of reflection will often cause the person to realize why it might be hurtful, and it’s easy for people to forgive others who didn’t intend harm. People who actually have an intent to hurt are more difficult to stop with a warning. Even there, though, reflection can sometimes convince them that hurtful comments would damage their own reputation or open themselves up to negative consequences. 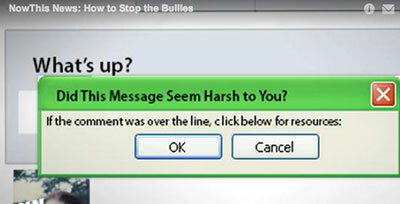 For the good doc: It seems like an assumption in this tech is that bullies act on impulse. Giving them pause to double check that they really want to send something is certainly a way to curb that impulse, but every bully I've ever met (or e-met) is usually on a rampage for at least a half hour or so. What research has your team done to suggest that an in-the-moment response to an in-the-moment problem is actually effective? Have you experimented with "holding" offensive posts for different periods of time? That would be a good experiment to try, but we haven’t yet done it. Anecdotally, we find that when bullying is recognized and “called out,” in the majority of cases, people tend to back off. I agree that this won’t stop a really hard-core bully. Your software invites comparison to spam filters, which also employ algorithms to separate certain kinds of web content from others. How sound is that analogy? How is it different? Gmail can do such a good job with spam because it “crowdsources” the judgment of whether the message is spam. Spam is sent nearly identically to large numbers of people. It also has telltale words that can be identified. Bullying is more personalized and context-dependent. Sometimes bullying takes the form of racial, ethnic, or appearance stereotypes, and you need the knowledge of what those stereotypes are (without endorsing them) in order to recognize that it's taking place. So it is a challenging problem for us. But, like spam, it is a make-or-break issue for social networks. Isn't bullying an inherent part of our make-up? I have no scientific sources to back up my statement but I believe it's something that will always be around, like thieves and liars. My question is: When do you anticipate the algorithm will be ready to implement on a large-scale social network, like Facebook or Twitter? We don’t know exactly when. We would like to collaborate with these companies to work on this. Some of our software is currently on MTV’s site “Over the Line?”, where it matches a user's story to other stories on the site that talk about similar experiences. Reading a story that matches your own personal experience can provide emotional support, and perhaps even useful advice about the situation. Thank you to everyone who submitted questions! Dr. Lindi van Niekerk is a research officer at the University of Cape Town, South Africa's Bertha Centre for Social Innovation and Entrepreneurship. She visited the Media Lab to participate in the 2013 Health and Wellness Innovation Hackathon, held from January 22 - February 1, 2013. In the following post, Lindi reflects upon her experiences as a member of a HWI hackathon team. Innovation is taking healthcare by storm in the USA, but the same wave has not yet hit our South African shores. As an MD from Cape Town, South Africa, I have become exceedingly interested in the role innovation could play in transforming an African healthcare system. South Africa, just like the United States, is facing a myriad of health challenges relating to the colliding of the epidemic of infectious disease, such as HIV, with chronic diseases of lifestyle. These diseases place extreme strain on a system struggling to provide affordable and effective healthcare to an 84% uninsured population. Now more than ever, we in South Africa require innovation from the ground up to transform challenges into new opportunities to deliver improved care to our patients and achieve better health outcomes. But how can we do this? There are no better leaders from whom to learn from than the MIT Media Lab and the Health and Wellness Innovation Hackathon organised by John Moore at the MIT Media Lab. 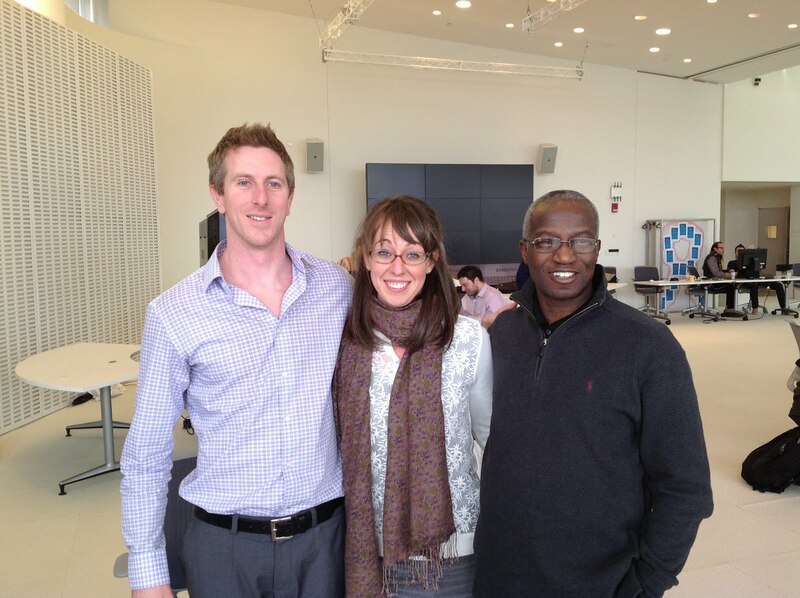 From left: Health & Wellness Innovation organizer and Media Lab PhD student John Moore, MD; Lindi van Niekerk, MD; and Media Lab research affiliate Julius Akinyemi. For two weeks, I was able to surround myself with passionate innovators who worked in six project teams to address health challenges like HIV, epilepsy, hypertension, endometriosis, Parkinson’s, and cardiac failure. These teams pushed toward new frontiers in patient empowerment. In all health systems, we need to realise that our patients are competent interpreters of their own lives and that our role as innovators is to support them with the best means to do so. I joined a group of experts developing a mobile application to support HIV patients in managing their disease, a project well-suited to a priority need in South Africa. This diverse team of clinicians, software developers, biomedical engineers, health literacy experts, and behaviour-change experts had a range of knowledge and backgrounds that worked to catalyse innovation. The first few days allowed for a wonderfully messy and creative process of sharing new and fresh ideas on how patients can be supported with medication adherence. After exploring broadly, we were able to focus on the core components and got started on developing a prototype. From animated videos providing educational insights, to screen designs targeted at both patients and providers, to an incorporated point of care test, the HIVIVA application emerged. The product outcomes of such an innovation process are, of course, a benefit of attending a two-week event like this–but the relationships that result are arguably as great a benefit. I had the opportunity to form friendships and connections with such special people, including my teammates and members of the extended MIT family. My ability to attend the hackathon was made possible through the unique and exciting collaboration being established between MIT and the Bertha Centre for Social Innovation at the Graduate School of Business in Cape Town. In addition, the people of the MIT Media Lab–Julius Akinyemi, Joost Bonsen, and John Moore–gave value to my visit, as did my host Michele Oshima who kindly opened her home to me for two weeks. I departed MIT more excited than ever and filled with new enthusiasm to take the innovation process back to Cape Town. I look forward to creating a stimulating and enabling environment for our local innovators and entrepreneurs to uncover novel solutions to improve healthcare for our patients who need it most. Everywhere I travel, I meet people who are doing groundbreaking, game-changing work in the most creative and innovative ways, from learning and education, to art and music, to activism, to sports, science, and film--and everything in between! There are people all over the world with less-than-traditional backgrounds (like me!) who would be great additions to the Media Lab community. We wanted to create a program to loop them in. Our new Director's Fellows initiative creates a way for these extraordinary individuals to take part in Media Lab research alongside our faculty and students. We're bringing a cohort of characters from a broad range of sectors and geographies to join us in doing collaborative research and to expand our growing global community. The fellows will not only work with the Lab's students and faculty, but also with each other. Author and comedian Baratunde Thurston. 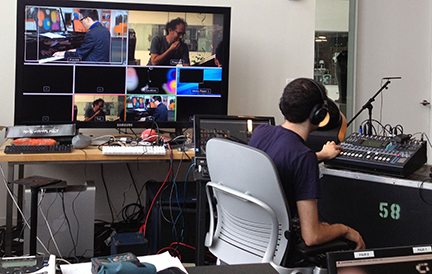 At the Media Lab, inventing the future is our focus. Moving forward, I believe a lot of that invention will come from sharing ideas and creating community. Over the past year or so, we’ve been working hard to come up with new, creative ways to do that. The fellows initiative is one way to open up the Lab up to the world, which will benefit both the fellows and the Lab community tremendously. What all the fellows have in common is that they’re leaders in their fields, and that they embody the Lab's uniqueness, impact, and magic. They're also all passionate about collaborating with the Lab. You should never be able to guess who the next new fellow will be by looking at the current roster. We’re really looking forward to the unexpected twists and turns these collaborations will take. Stay tuned! P.S. A few people have mentioned that there is only one woman in the first cohort. We'll have a much better balance when we add the next batch.